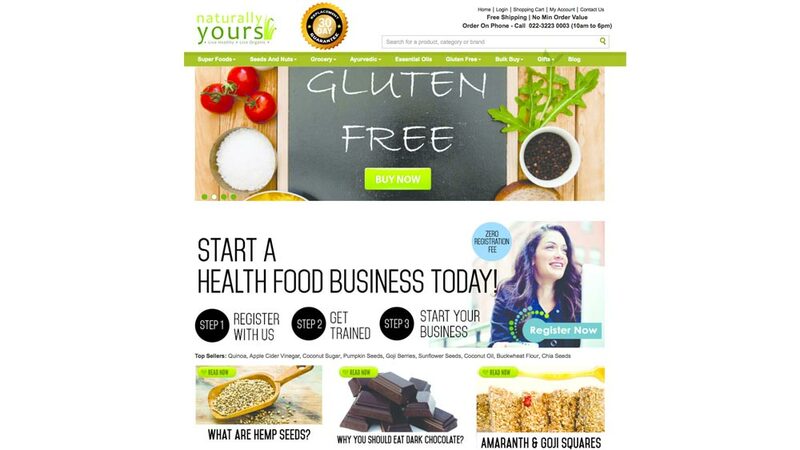 Angel investor and serial entrepreneur Sanjay Mehta has blessed Mumbai-based online organic food products’ brand Naturally Yours with an undisclosed amount of seed funding. Founded in 2010 by Vinod Kumar and Priya Prakash, Naturally Yours team works with hundreds of organic farmers as well as Farmer Groups across India, building a strong, reliable and ever expanding farmer network. “We ensure every farmer gets the fair deal and is profitable at his end. This is critical as this ‘honesty premium’ ensures that the product is of excellent quality and is available consistently,” said Prakash, Co-Founder of Naturally Yours. Currently, Naturally Yours has over 100 products under its brand name. This Internet first brand sells on portals like Amazon, Flipkart, shopclues, Healthkart, Pepperfry and various others. One can also order products through its online official website. “We are one of the leading brands on Amazon India in their health and gourmet section executing over 2000 orders/month. And we see this increasing over 30-40 per cent month on month,” informed Kumar, Founder, Naturally Yours. With this seed funding, the team plans to enter into new product categories and increase their product range. “We see a huge gap in a lot of product categories in the organic and wellness industry and we will launch about 70-100 new products over the next 12-24 months to fulfil this gap,” noted Prakash. While, Kumar disclosed, “The money will also be used to expand the core and the support team as we plan to achieve a run rate of 10,000-15,000 orders per month in the next 12-24 months,” says Vinod Kumar, Founder Naturally Yours. Conspicuously, the team intend to sell solely through online medium over the next 12-24 months, have no plans to enter into brick & mortar model in near future. Growth story of healthcare platform DocPlexus..